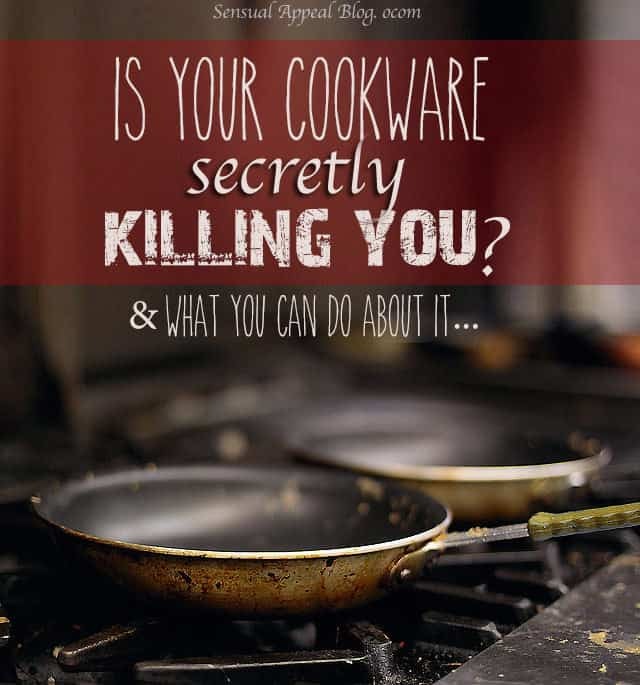 Is your cookware secretly killing you? And what to do about it. If you’re like most Americans, you cook your food without giving it much thought. However, have you ever considered that what you’re cooking your food IN could possibly be giving you health problems? Additionally, when you cook with non-stick pans, you release toxic fumes into the air when cooking at high temperatures. The coating can break down and turn toxic at only 446 degrees Fahrenheit. That means that both you and your room mates or family members are at risk of breathing in harmful substances when you cook. Aside from that, do you really want a chemical spill happening in your food?? It would likely take many years of excessive aluminum cookware use to negatively affect you, and of course your lifestyle and genetic predispositions to Alzheimer’s will also impact your health risks. However, it doesn’t hurt to be on the safe side. Start searching for alternative pans like the ceramic and green cooking pans I mention down below. Stainless steel is a fairly safe option but these pans do contain carbon, chromium, nickel and other various metals. These metals can surface when highly acidic foods have been cooked in the cookware or when the cookware is used excessively. What you really need to watch out for is when your stainless steel pan gets scraped or misshapen. Deformities in these cooking pans can allow the metal base of the pan to touch your food, making it easier for harmful metals to seep into your meal. Sites like The Cookware Expert are worth checking when it comes to buying new pieces for your kitchen. Copper cookware is a cooking option that provides extremely even heat distribution, which can make it an appealing option for those cooking meat or vegetables. Nevertheless, copper can be extremely dangerous if it comes in direct contact with your food. If you use a copper pan that has been dinged or damaged, the metals in the pan can spill out in excessive amounts to the point where digestive discomfort could occur. Because of this, many copper pans are lined with other metals as a protective measure, but it’s good to be wary of copper’s potential dangers. Additionally, copper cookware is extremely costly and doesn’t last as long as other types of cookware. Why put yourself at risk for a more expensive price? Green cooking options like Greenpan are both a safe alternative to metallic-based cookware, as well as an eco-friendly product. Greenpan is 100% PFOA and PTFE free, which means that no synthetic chemicals or potentially dangerous anti-stick coatings have been used in making the cookware. Traditional cookware containing these chemicals has been known to result in polymer fume fever, which mimics flu symptoms and may last for several hours. By using eco-friendly cookware, you can protect both yourself and the environment at the same time. If you’re looking for the safest option, you’re going to want to look into getting a nice set of ceramic cookware. Ceramic cookware is non-reactive, which means no toxic chemicals will be released into the air when you cook at high temperatures. 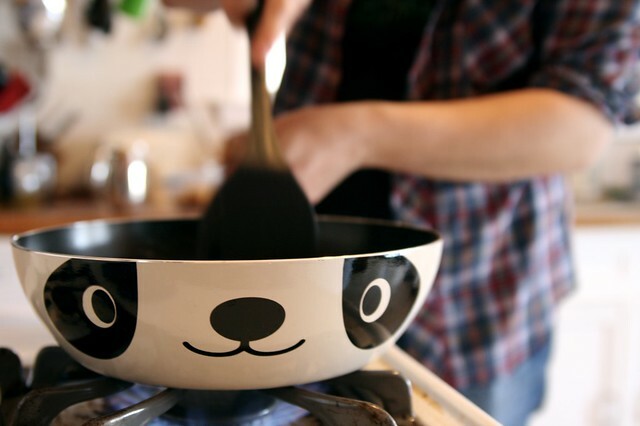 Additionally, ceramic cookware is inherently non-toxic. It contains no iron, nickel, copper, chromium, lead, cadmium or aluminum. If you cook with ceramic cookware, you can ensure that none of the adverse health effects mentioned above happen to you. Ceramic cookware also has the unique advantage of having a far-infrared heating process. This means you food will cook from the outside and the inside simultaneously, making foods like chicken and fish safer to eat. If every salmonella outbreak you hear about on the news makes you antsy, investing in some ceramic pans will help you relax around your chicken dinner. While it’s undoubtedly true that what you eat plays a role in your health, it’s also true that how you cook what you eat affects your health too. Take a fresh look at your cooking utensils and ask yourself if you need to rethink your cooking options. Who knows? You could save yourself from a life-threatening illness by switching to Green or ceramic pans instead. I did not know about most of this but glad I do. I have started using the green cookware and will continue to do so. That’s great – I’m glad to hear that. I need to go and get some of my own asap! Yeah, I am pretty sure my cooking pans are killing me, but ugh! Great advice! I won’t touch non-stick cookware with a 10 foot pole. I use cast iron for almost everything, a big enameled cast iron pot for big soups, and high quality stainless or glass for everything else. The worst is when people stir fry on high heat or cook things like steak in non-stick. All those chemicals are airborne at those temperatures. This is an excellent site where we get the exclusive information about our cookware. Here we get more valuable suggestion on what kind of cookware is suitable for our healthy cooking. So thanks a lot to the site admin for providing such an essential information.